Wells Fargo is an American Multinational Financial Services Company. The presence of Wells Fargo in student loan arena is popular. The practices, advantages and disadvantages of Wells Fargo Student loans hence need to be studied. Wells Fargo offers student loans in a variety of forms including undergraduate loans, graduate loans, career and community college loan, parent loan and consolidates student loan. Wells Fargo student loans have flexible forbearance and repayment options and the borrowers are assigned to a flexible student loan adviser and only borrowers who are enrolled less than half time are eligible. Wells Fargo Student Loan phone number is 1800-658-3567. This loan is specially designed for undergraduates attending traditional four-year schools to pay for college. This covers the cost of education, tuition, books, computers, and housing. A few of the benefits of the programs are as given below. Students need to start repaying the loans, only within 6 months after leaving schools. Students can even make early payments even while they are at school. There is no requirement of application, origination or repayment fee. An interest rate with a qualifying early relationship is reduced. In order to qualify for a loan and get a lower interest rate, a cosigner can be assigned. Most undergraduate and graduate students require help to qualify for student loans for college expenses and to fulfill their aims. Cosigners come in to help these students qualify for it. A cosigner would agree to share equal responsibility for repayment. A cosigner should be 18 years of age or more and should be a citizen of the United States, a US National or has proper evidence of eligibility and meets general loan eligibility and credit requirements can cosign. Parent, guardian, spouse, relative, or even friend that meets the criteria can become a cosigner. The eligibility criteria come in terms of age, income, citizenship requirements and established credit history. The cosigners need to present the Social Security Number, Information and/or employment, Current address and Telephone number, monthly rent and/or mortgage payment amounts. A few of the responsibilities of loan repayment are as given below. The firm ensures that the student doesn’t borrow more than what he needs. The student receives loan funds for many loans and these loans are applied directly to the student’s loans. Remaining funds will be given to the student by the school. Identify the amount that the student is borrowing. Student loan payments should be not more than 10-15% of the borrowers’ monthly income. Copies of loan documents are always kept for reference. Based on total and permanent disability of the student or his/her death, loan forgiveness can be availed. Without a discount, the variable interest rate ranges from 5.04% annual percentage rate to 10.39% annual percentage rate. And again, without a discount, the fixed rates range from 5.94% APR to 11.26% APR. Choosing the fixed interest rate will make you pay higher than the variable interest rate. However, for fixed interest, the amount of repayment remains to be the same throughout the plan. Immediate discount – A 0.25% interest rate reduction can be received right away for having a previous Wells Fargo student loan or having a previous Wells Fargo student loan or qualify for a consumer checking account. Automatic payment discount - Upon automatic payment discount, an additional 0.25% of interest reduction happens after the payment begins. This is for enrolling in automatic payments. Presence of a cosigner will improve the chance of loan approval. Eligibility to receive undergraduate loans is as given below. You should be enrolled as an undergraduate student in an eligible school, either seeking a degree, certificate, or license. Even if you are enrolled less than half time, you’ll qualify to receive it. Borrow up to the total cost of attendance and reduce the other aid received from it. The minimum amount to be borrowed is $1,000. Application, origination fee or penalty is not applied. Payments are not made until 6 months after you leave school. Upon deciding to pay back the loans early, fewer amounts are paid in interest. This reduces the overall cost. A few the essential documents and ID required to apply for the loan are as given below. School name, major and grade level need to be applied at the time of filling the application. Social Security Number is entered. The borrower’s and the co-signers (if applicable), employment and income information are entered. Cost of attendance and an estimated amount of financial assistance that you expect to receive are entered. Graduate student loans by Wells Fargo is aimed at graduate students who are enrolled in MBA, law or other qualified graduate programs and is seeking a degree, license or certificate. This loan covers the cost of education, tuition, fees, books, expenses and more. A few of the benefits of the program are as given below. Students need not to make payments until 6 months after leaving school. Application, origination or early repayment fee may not be included. Competitive fixed or variable interest rate option is selected. Students qualify on their own without a cosigner. A cosigner can help you to get a lower interest rate on the Wells Fargo Graduate student loan. Payments are not required until 6 months after you leave school. And you’ll have almost 15 years to repay the loan in this case. Early payments during the time at school, helps to reduce the amount of interest that you pay over your loan. Early repayment does not have a penalty. Application, origination, or penalty is not available for paying your student loan early. Variable interest rates range from 5.88% annual percentage rate to 12.22% annual percentage rate. Fixed interest rates range from 6.36% annual percentage rate along with a discount to 12.68% annual percentage rate without a discount. Two tips to reduce your interest rate are as given below. Customer discount – 0.25% interest rate is applied for a prior Wells Fargo Student Loan and qualified Wells Fargo checking account. Automatic Payment – 0.25% interest rate is granted a rate reduction for enrolling to automatic payments. The amount of loan repayment during the loan’s life period can be reduced by discounts. The monthly payment amount is not always affected by automatic payment discount. However, the number of payments or the amount of final payment can be affected by it. Wells Fargo helps in reducing the amount of loan that is borrowed using the tips that are given below. The exact amount required along with the enrollment of the student is verified. Funds are accepted on your behalf. Once the school receives your funds the remaining funds are distributed to you. The lifetime limit for loan combined with education-related debt is $1,80,000 for law and business and for the other fields of study, the amount is $1,20,000. This type of loans is designed for undergraduates attending four-year schools to pay for college. Expenses including the cost of education, tuition, books, computers or housing cover up this type of loan. No payments are made until 6 months after leaving school. Early payments can be made at any time during school. There is no application, origination or early repayment fee. You can try to reduce your interest rate by qualifying for the relationship discount. The variable interest rate of this type of loans ranges from 5.04% Annual Percentage Rate with Discount to 10.93% Annual Percentage Rate without discount. Fixed interest rates of this kind of loans range from 5.94% Annual Percentage Rate with a discount to 11.26% annual percentage rate without discount. A few of the necessary requirements to apply for private loans for Community College at the Wells Fargo are as given below. You should be enrolled as an undergraduate student at an eligible and should be seeking a degree, a certificate or a license. You must be a US Citizen or a US National or an international student with a US address. Till you meet all the requirements to qualify for the loan, including income, credit and repayment ability, you’ll need to apply along with a co-signer. Temporary resident aliens usually need a qualified co-signer who is a US Citizen. From the total cost of attendance reduce the aid received in order to estimate the amount to be borrowed. The lifetime for the loan, with the educational debt, is $1,20,000. Minimum amount to be borrowed is $1,000. There is no application or origination fee and no penalty to pay off your loan early. No payments need to be paid till 6 months after you leave school. If you start early repayment of your loan, then you can pay less in interest. This reduces your overall cost. A few of the requirements to apply for private loans for community college are as given below. Permanent US Address should be presented. Attendance cost and an estimated amount of financial assistance that you expect to receive should also be submitted. Parents student loans for college help in allowing parents, family members, and friends to help students to cover their educational expenses. This helps them to focus on their studies and aids them to finance their education. This program helps to enjoy the increased choice of usage as loan funds are sent directly to you. As there is no application or origination fee, there is no penalty to pay off your student loan early. The variable interest rate for the loan package range from 6.24% annual percentage rate with a discount to 12.74% annual percentage rate without discount. A few ways to lower the interest rate are as given below. Customer discount – 0.25% interest rate is reduced for a prior Wells Fargo student loan or qualified Wells Fargo Consumer Checking account. Automatic payment discount – 0.25% interest rate for enrolling in automatic discounts. Up to $25,00 can be borrowed in a school year. The lifetime limit for this loan combined with all the education-related debt is $1,00,000. This loan is not just available for parents of a dependent undergraduate, but to any person who meets the eligibility requirements. The full cost of attendance up to $25,000 is the maximum annual loan amount. A separate loan can be applied for, in case you want to borrow money for more than one student. The parent or the person in whose name the is taken is responsible for making payments. That is a student is not responsible for making payments in this type of loan package. The repayment has to begin, while the student is still in school. Up to 48 months of interest only payments are made during the repayment period, even if the student has a half-time enrollment. Any unpaid portion of this loan will be forgiven in case of the student’s death or total and permanent disability. Wells Fargo Private Loan Consolidation combines multiple federal and/or private loans into a single loan. A few of the benefits of private loan consolidation are as given below. There is a possibility to choose from a fixed or variable rate option. Variable interest rate range from 3.75% annual percentage rate with discounts to 9.74% without discounts. Fixed interest rates range from 3.99% annual percentage rate with discounts to 9.99% annual percentage rate without discount. The APRs defer based on the repayment term. The repayment term selected and the creditworthiness measure the actual APR. The options of the repayment term include 5, 7, 10, 15, 20 years based on credit qualification and the loan amount. Two popular ways to lower your interest rates are given below. For the immediate discount, you’ll get a 0.25% interest reduction, for having a Wells Fargo student loan or if you qualify for a consumer checking account. For automatic payment discount, you’ll receive a 0.25% interest rate reduction for automatic payment enrollment. Choice of a fixed or variable repayment is based on your ability to repay. When variable interest rates vary depending upon the market trends, fixed-rate payments remain the same during the lifetime of the event. The creditor history of the borrower and the cosigner would definitely indicate the interest rate. The stepwise procedure for loan consolidation at the Wells Fargo is as given below. You can begin an online application if you are planning to borrow or cosign a loan. Information regarding current loan balance, monthly payment, who pay you each month, loan number, interest rate type, loan type, remaining term, billing statement are to be provided in the case of all loans that you need to consolidate. To identify how you would be affected by student loans, a detailed loan review is conducted. After your loan is approved and the documents are ready to be signed, a link will be mailed to be signed, online or else faxed, mailed or uploaded. A few of the documents to be signed include Financial Informed Choice Form, Federal Loan Informed Choice Form, Loan Request Consumer Credit agreement and a few more. By managing your student loans, credit rating can be benefited and can assist your future financial goals. Various methods available for student loan repayment are as given below. Automatic repayment – After you have left the school and have started to receive monthly payments, timely payments are easily possible with automatic payments. Automatic deduction of amounts happen to form your bank account and you can qualify for a 0.25% interest rate discount. For that, you need to first check if your loan is eligible for a financial aid discount. You can also submit the automatic authorization form. Online transfer and payments – Funds can be transferred from a Wells Fargo deposit account or a non-Wells Fargo deposit account. For this payment to reflect on your account, it will take 1-2 business days. Payments are received within 10 pm. Bills Pay – Wells Fargo Bills Pay is another available option in case you have a Wells Fargo checking account. An email notification will be received when the bill is due and the payment confirmation is received once the payment is sent. This is a convenient way to pay the bill. Payment can also be done through another institution’s bill pay service. To make delays, make sure that your account number is correct and that it prevents its payments or delays. Mailing, Phoning or In-Person payment – Mailing, calling or going to a banking location are other available options to make payments. In order to make a payment over the phone, you can call at 1-800-658-3567. Wells Fargo bank locations are also open to receiving payments. If the payment is received by 5:00 pm will be received as on the day of receipt. If the payment is received after 5:00 pm then it will be credited on the following day. A few of the benefits of Wells Fargo Student Loan are as given below. The full cost of studying is most often born by the Wells Fargo Student loan. The additional benefit is that students do not have to start repaying their loans until six months after their education is complete. Students or parents may apply to be the lead borrower. Competitive rates including fixed or variable interest rates, along with interest rate discounts are granted by the Wells Fargo to its borrowers to help reduce student loan costs. Students with a lesser chance of being approved of a loan, and does not possibly qualify for lower interest rates. Rates are not on the rise for student loans. Interest rates vary by state and can be found on their website. Approximately an annual percentage rate of 4.33% to 6.17%, along with a fixed rate loan APR of 9.88% to 11.26% is granted by the community colleges of Florida. With a 15-year loan rate, it is highly necessary to cut costs on your loan. Customer service of Wells Fargo is not often appreciated. Complaints against the customer service include unauthorized withdrawals the accounts of customers, customer representatives who do not help, customer representatives who are not friendly and more. Overpaid amounts are sometimes received late. If you are to decide between several college offers, you’ll have to query on available lending partners, preferential rates that are offered to schools, varying rates of community colleges, private and state universities and many more. Wells Fargo has tried to make its position as a large student loan lender, by buying portfolios of other banks that no longer offer student loans. An example case is that of USAA, that sold their portfolios to Wells Fargo and hence does not focus on student loan lending. If you are looking for other terms, Wells Fargo will not always have, the competitive rates and terms. The rate and fees acceptance percentage of Wells Fargo is 90% and the application requirement acceptance percentage is 70%. Customer service acceptance rate is 40% and the product and service acceptance rate is 80%. The loan term is for 15 to 20 years. $5,000 to $1,20,000 are offered as private loans. The individual loan must be at least $1,000. The lifetime loan limit along with the educational debt is $2,50,000. Parent loan cannot be transferred to the child. Tips to improve Wells Fargo Student loan Servicing is as given below. The term of the loan should be lesser than 15 years. Biweekly student loan payments are done through autopay. Personalized credit agreements do not affect credit. 1. How can the private student loan process be initiated? Information can be first entered to find out the private loan that meets your needs. 2. Is it necessary that I have to be a Wells Fargo customer to apply for Wells Fargo private student loan? It is not necessary that I'll have to be a Wells Fargo customer to apply for Wells Fargo student loans. 3. Is it mandatory to have a cosigner during the loan application process? If the income and credit history of the student meets the requirements, then he wouldn't need a cosiger. However, if it is not met, then it is essential to have a cosigner. 4. What is a self-certification form? A self-certification form ensures that the applicant does not borrow more than what they need while applying for loans. 5. Which are the modes to apply for Wells Fargo Student Loans for parents? Wells Fargo student loan for parents can be applied in two formats including online application or by calling at 1-800-658-3567. 6. Can only parents apply for parent student loans of Wells Fargo? Not only parents, but any adult sponsor can apply to the Parent-Student Loans of the Wells Fargo. 7. What are the plans available for a child's future college expenses? Various plans available for a child's future college expenses include 529 Savings plan, 529 Prepaid Tuition plans, and Education Services Account. 8. What is the grace period allotted for Wells Fargo loans upon leaving school? The grace period allotted for Wells Fargo Loans upon leaving school is 6 months. 9. Are part-time students eligible to apply for student loans? Yes. Part-time students are also eligible to apply for student loans. 10. 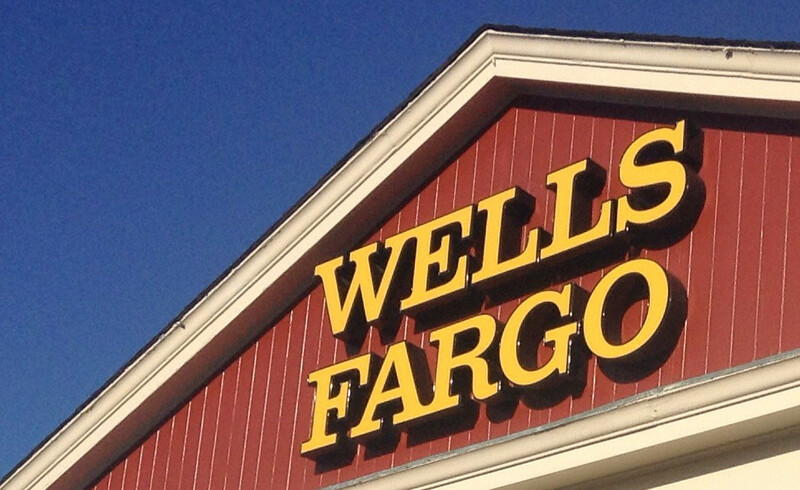 Which are the in-school repayment options for Wells Fargo? Immediate or deferred repayment options can be done at the Wells Fargo.